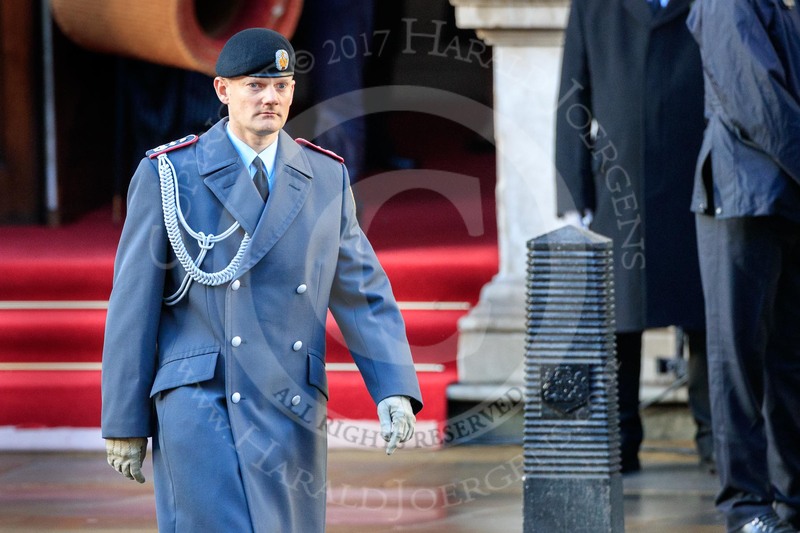 Lieutenant Colonel (German: Oberstleutnant) Christoph Kahnert, Equerry to HE The President of the Federal Republic of Germany, before the Remembrance Sunday Cenotaph Ceremony 2018 at Horse Guards Parade, Westminster, London, 11 November 2018, 09:42. 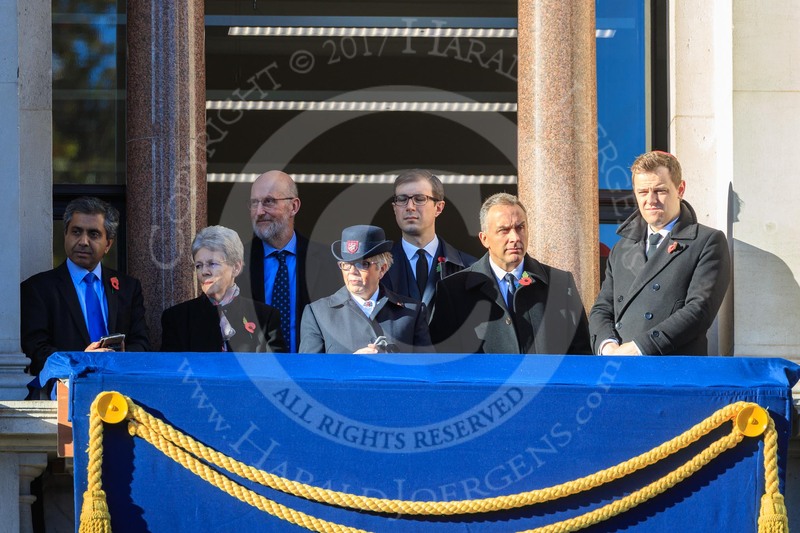 Early guests on one of the balconies of the Foreign and Commonwealth Office before the Remembrance Sunday Cenotaph Ceremony 2018 at Horse Guards Parade, Westminster, London, 11 November 2018, 09:46. 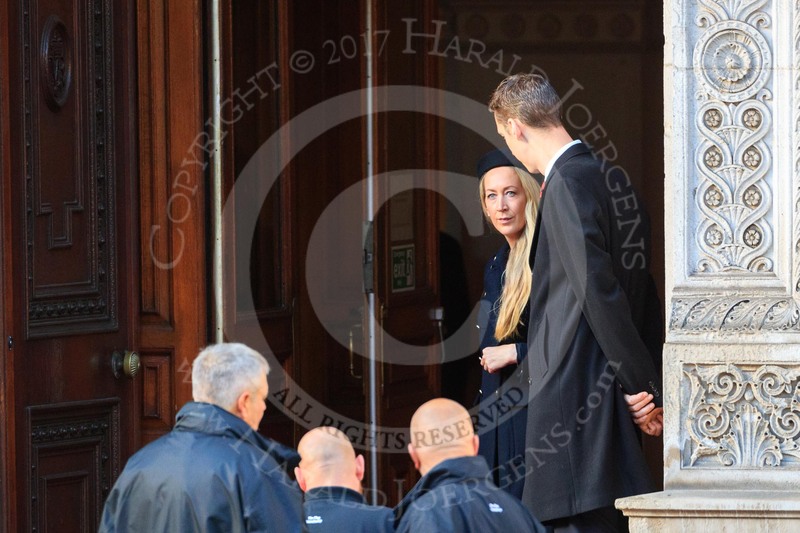 An unidentified man and woman at the door of the Foreign and Commonwealth Office before the Remembrance Sunday Cenotaph Ceremony 2018 at Horse Guards Parade, Westminster, London, 11 November 2018, 09:47. 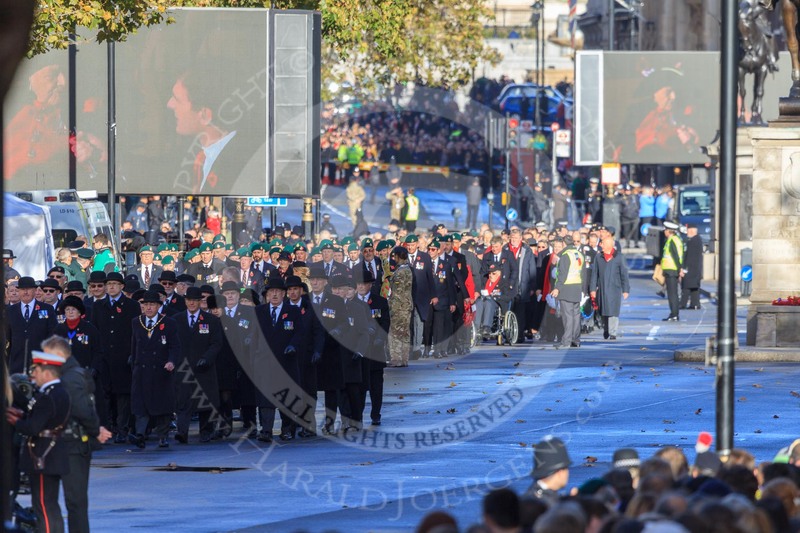 The first group of the Armed Forces arrives on Whitehall before the Remembrance Sunday Cenotaph Ceremony 2018 at Horse Guards Parade, Westminster, London, 11 November 2018, 09:48. 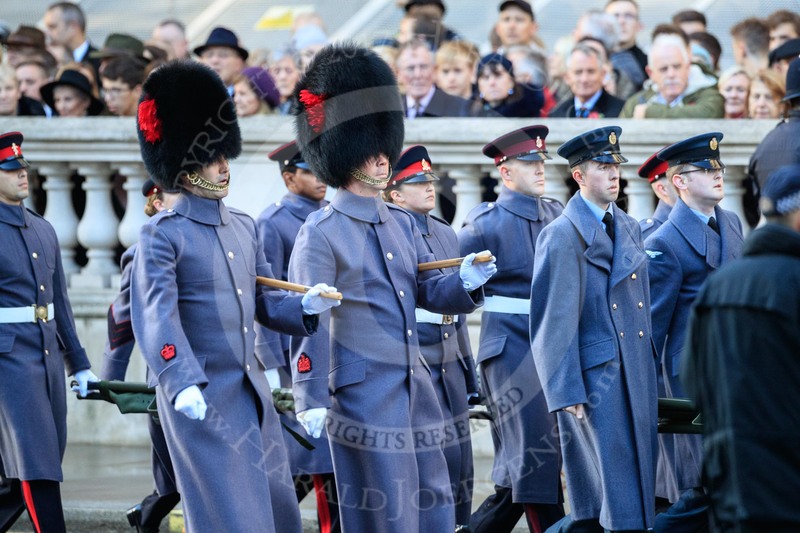 They might be the "markers" for their service detachments, followed by stretcher bearers. 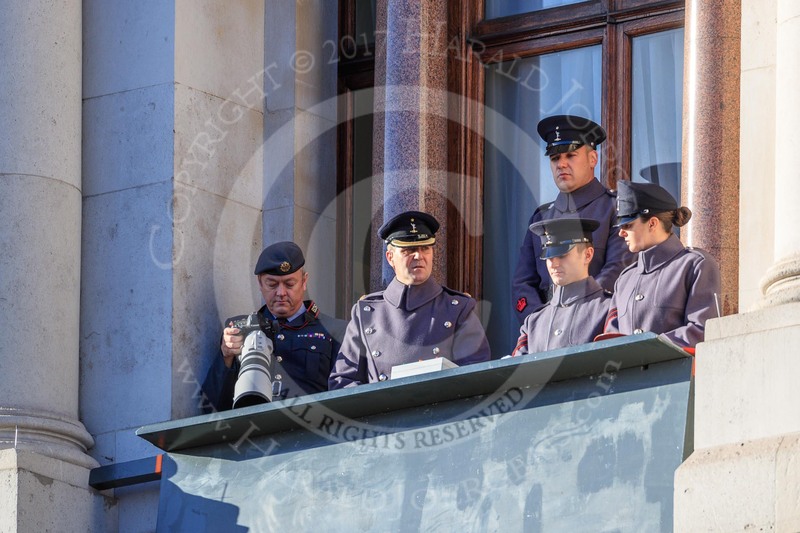 Army officers and an army photographer in one of the top floor windows of the Foreign and Commonwealth Office before the Remembrance Sunday Cenotaph Ceremony 2018 at Horse Guards Parade, Westminster, London, 11 November 2018, 09:52. 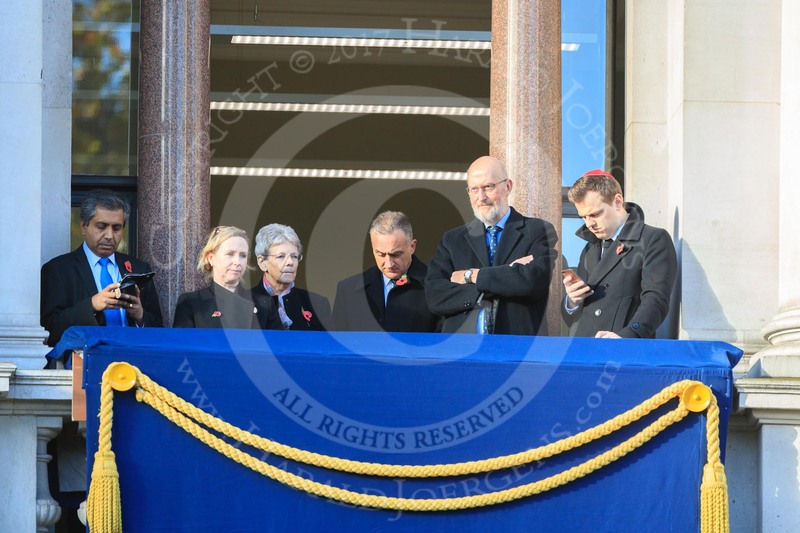 I believe they control all or parts of the event - if you know more, please let me know! 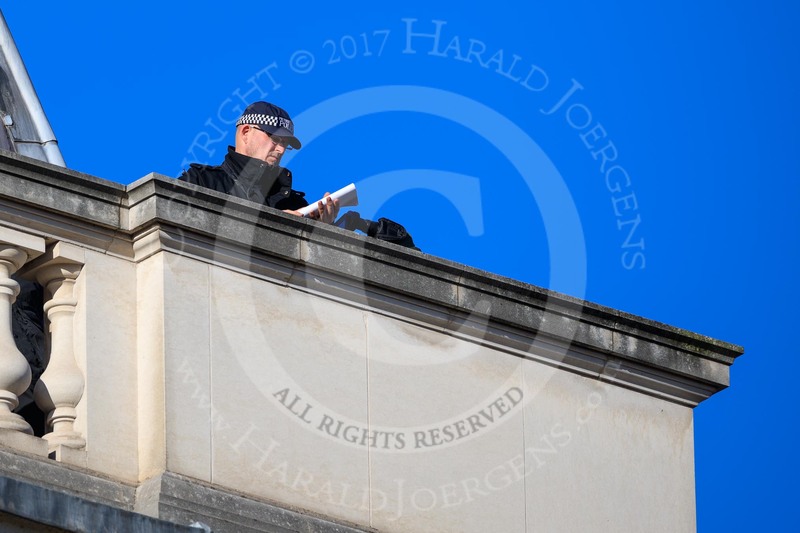 A police officer on the roof of the Foreign and Commonwealth Office before the Remembrance Sunday Cenotaph Ceremony 2018 at Horse Guards Parade, Westminster, London, 11 November 2018, 09:58. 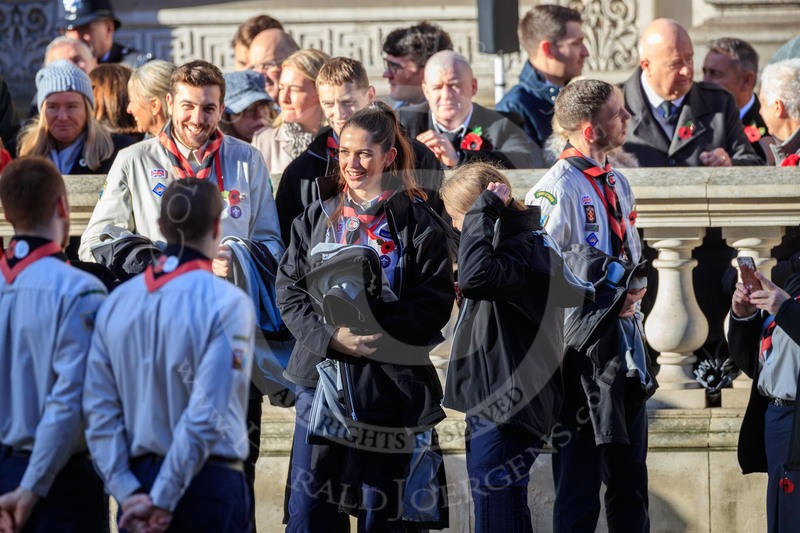 The The Queen's Scouts gathering before returning into the Foreign and Commonwealth Office before the Remembrance Sunday Cenotaph Ceremony 2018 at Horse Guards Parade, Westminster, London, 11 November 2018, 10:01. 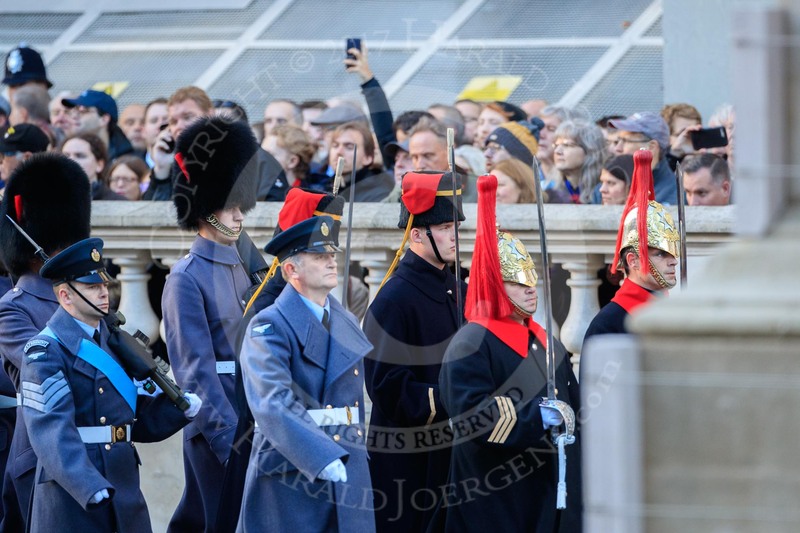 Early guests on one of the balconies of the Foreign and Commonwealth Office before the Remembrance Sunday Cenotaph Ceremony 2018 at Horse Guards Parade, Westminster, London, 11 November 2018, 10:03. 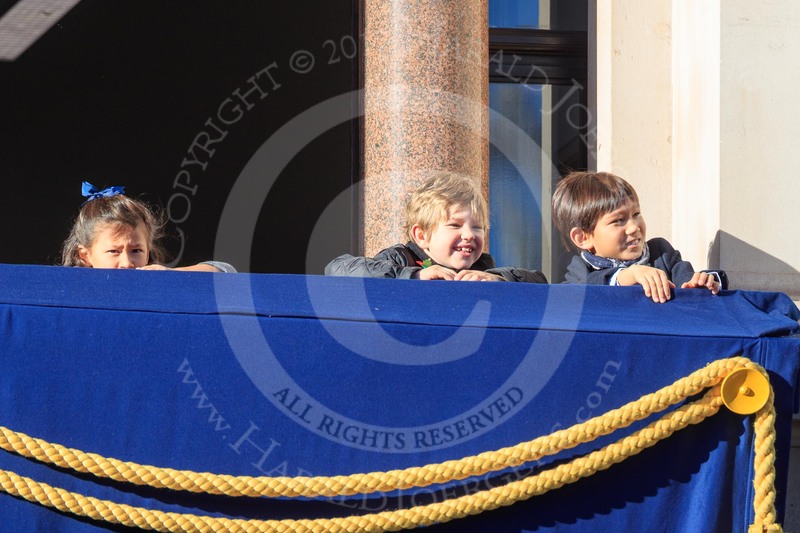 Children on one of the balconies of the Foreign and Commonwealth Office before the Remembrance Sunday Cenotaph Ceremony 2018 at Horse Guards Parade, Westminster, London, 11 November 2018, 10:03. 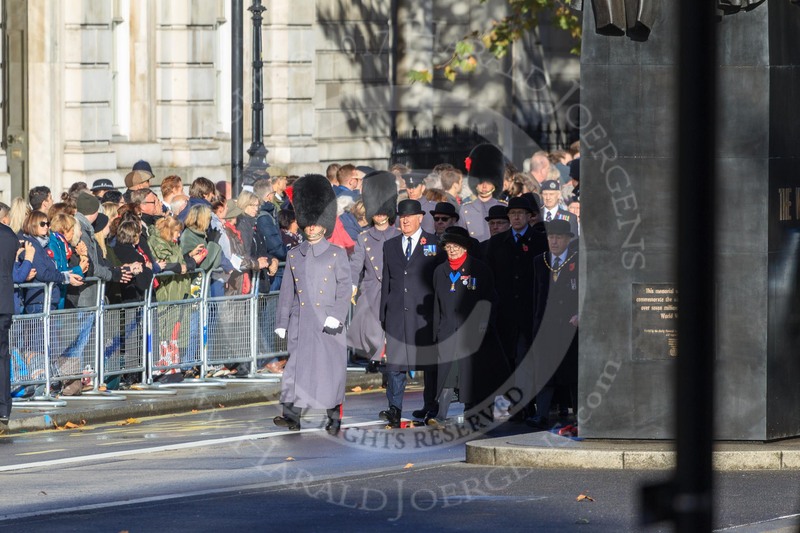 The first column of veterans has left Horse Guards Parade for the March Past before the Remembrance Sunday Cenotaph Ceremony 2018 at Horse Guards Parade, Westminster, London, 11 November 2018, 10:06. 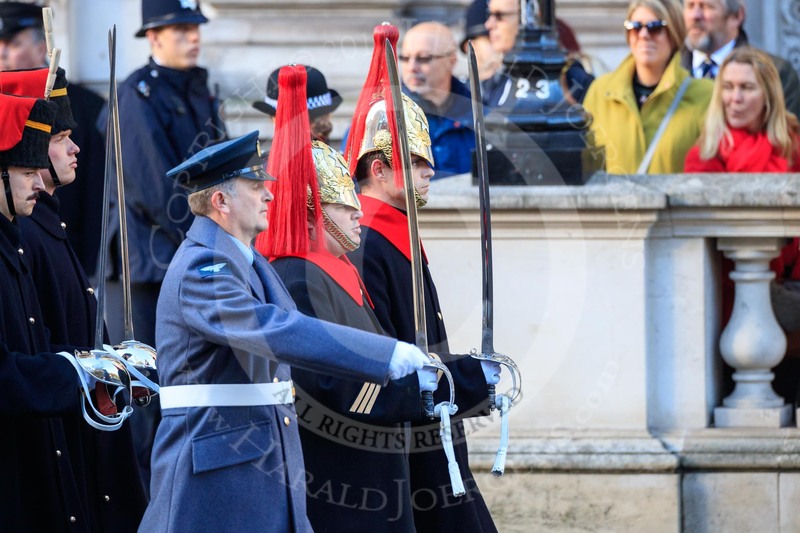 Getting ready for the March Past - the first group of RBL officials (I believe) followed by the first group of veterans on Whitehall before the Remembrance Sunday Cenotaph Ceremony 2018 at Horse Guards Parade, Westminster, London, 11 November 2018, 10:07. 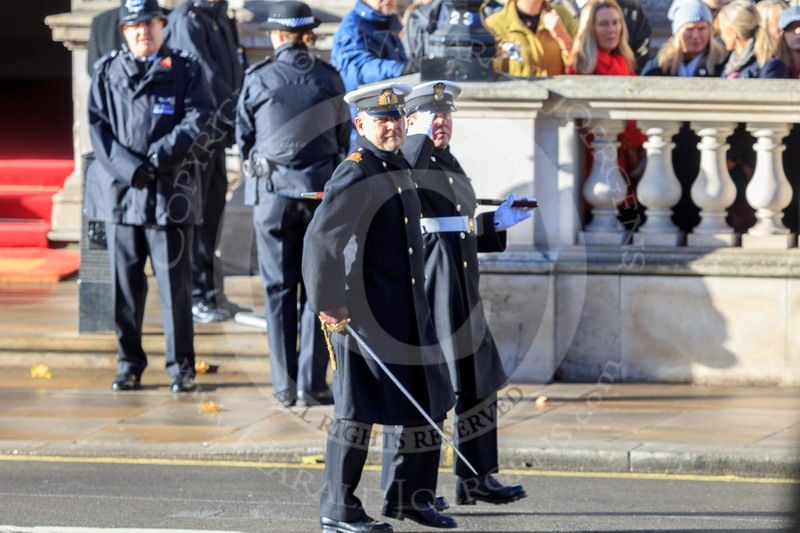 Two Royal Navy officers arriving on Whitehall ahead of their service detachment, before the Remembrance Sunday Cenotaph Ceremony 2018 at Horse Guards Parade, Westminster, London, 11 November 2018, 10:07. 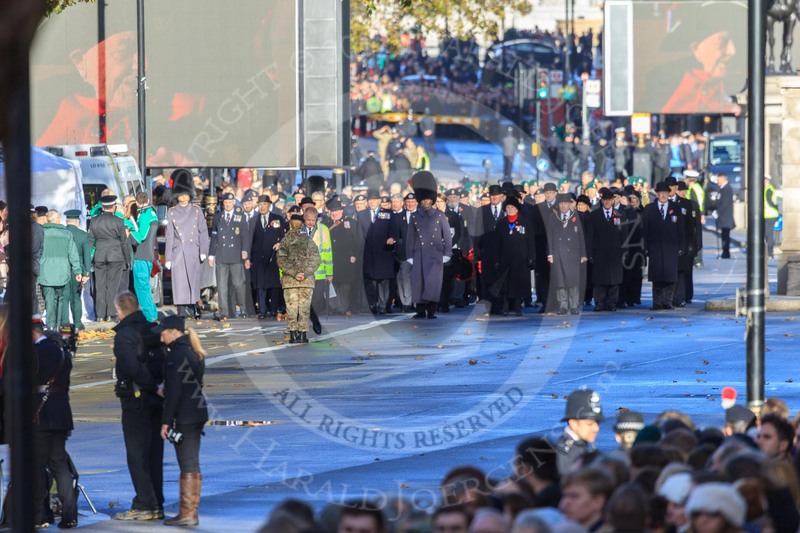 The first group of the March Past, I believe RBL officials, is waiting next to the Memorial for Women in World War II before the Remembrance Sunday Cenotaph Ceremony 2018 at Horse Guards Parade, Westminster, London, 11 November 2018, 10:07.